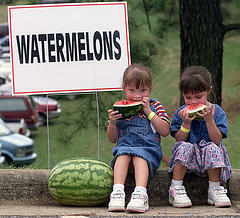 Thank you for the wonderful information on watermelons. No other summer fruit takes me back in time like watermelon. I am really intrigued by your vinaigrette. I’ll be making it soon. Have a wonderful weekend.